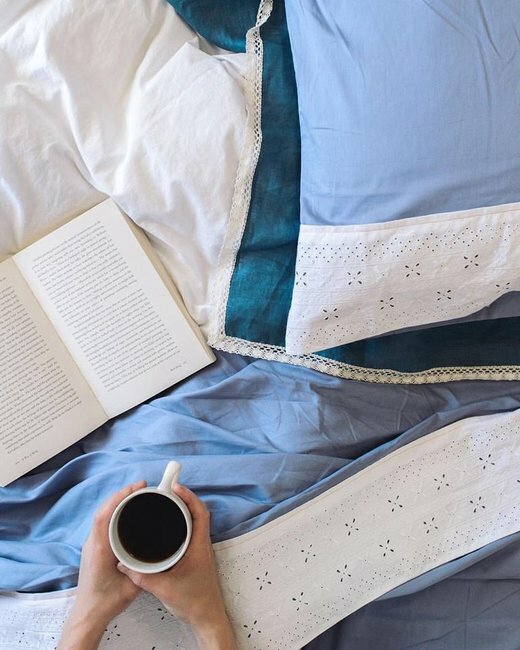 Organic cotton bed linen that celebrates childhood memories. 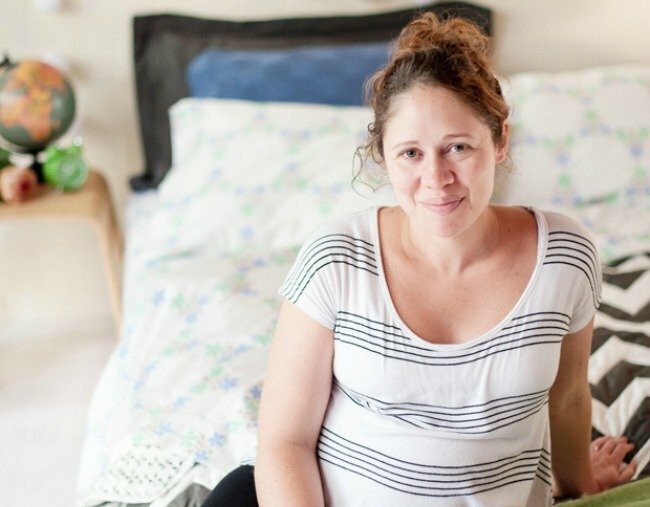 The touching story behind why Sarah named her small organic bed linen business 'Oh Mabel'. 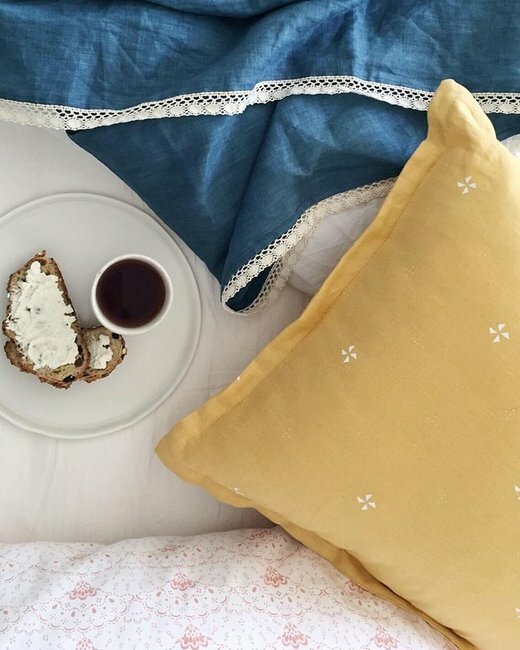 Oh Mabel is a boutique bed linen brand that specialises in organic cotton bed sheets. 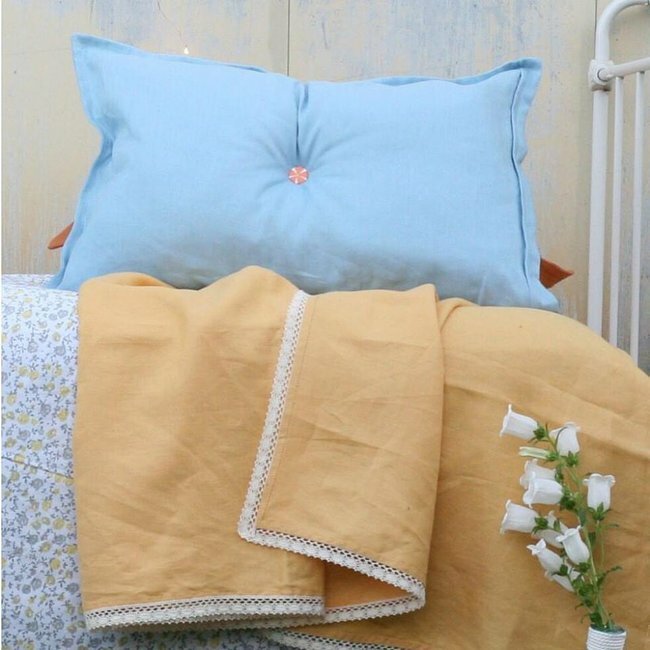 We have also produced quilts, and more recently, handmade linen cushions and throws. I originally started Oh Mabel in 2011 when I was wanting something different and a little more personal for my bed linen. I wanted more colour and personality. So I created it using my own childhood memories as my inspiration. 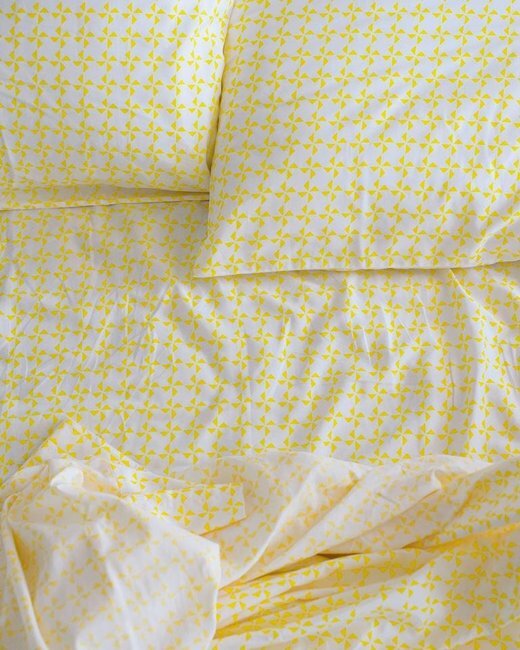 I brought back printed bed sheets with designs from Nanna&apos;s wallpaper, and memories of childhood pinwheels and floral sheets from the 70s. I&apos;m actually quite anti-consumerism so I wanted to make sure I produced something that was needed and that could be produced fairly and sustainably. I managed to accomplish this by working with the maker who is GOTS certified and constantly asking questions to make sure I was bringing something worthy into the world. I worked for a government agency in Canberra, and prior to that for a shopping centre company on the Gold Coast. I laughed about this the other day! I remember wanting to start my own business so that I could have freedom and spend time with my children. 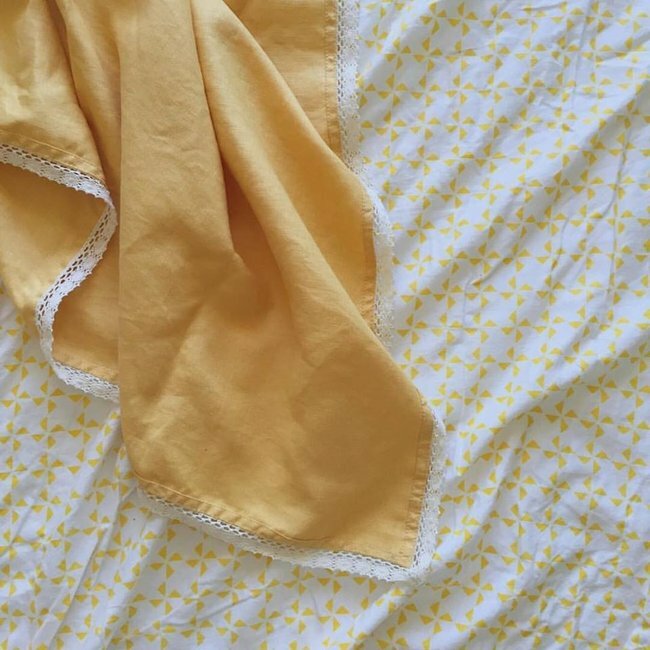 I laughed the other day while I was unpacking 197 boxes of bed linen because I hadn&apos;t seen my three-year-old in what felt like days. One day my husband and I were driving around his home town when we came across a tiny little church with an abandoned graveyard. There was this tiny little headstone with just a name and a date from decades ago. Her name was Mabel and she only lived one day. I sat there next to Mabel for ages, just thinking about her, about what it must have been like for her family. As it turns out, I would have my own Elinor only live for one day after a complicated birth in 2012. Describe the staff/ownership structure of Oh Mabel. To purchase the first range of sheets and quilts I used funds borrowed from my parents and a small personal loan to help cover all shipping and start up costs. Don&apos;t compare yourself to anyone else or anyone else&apos;s journey. Be yourself and build a business you want to see in the world. Overseas production. It&apos;s been a big learning curve. I have needed to learn really fast about manufacturing and relationship building with my makers. I had a serious flearning in 2014 when the relationship between myself and what was a very successful partnership fell apart due to a change in family ownership of their business. Unfortunately, the quality of my product was not a priority to the new ownership team and I was left with products that I had invested heavily into but I couldn&apos;t with a clean conscience sell to my customers without letting them know. The only thing I felt I could do was to be 100% honest and tell everyone what had happened. People jumped at the chance to buy at a discounted rate and I was able to keep Oh Mabel from closing as well as establish ourselves as a business that is honest and accountable. Seeking outside expertise in the form of business coaching. Holly Wainwright discusses the difference between the mental and physical loads and tips on how to beat it. Post will continue after audio. I reach out to other people for support. I can get really lonely and feel that it will never get better. It&apos;s really important to have that network of support. Before the birth of my third daughter only eight weeks ago, I worked three full days a week plus three nights. Now, I only get a couple hours a night to work on all the behind-the-scenes like writing content or planning engagements and marketing. I get to pack orders each morning with a two hour round trip to the post office and back. Up until recently it was getting a good night&apos;s sleep. 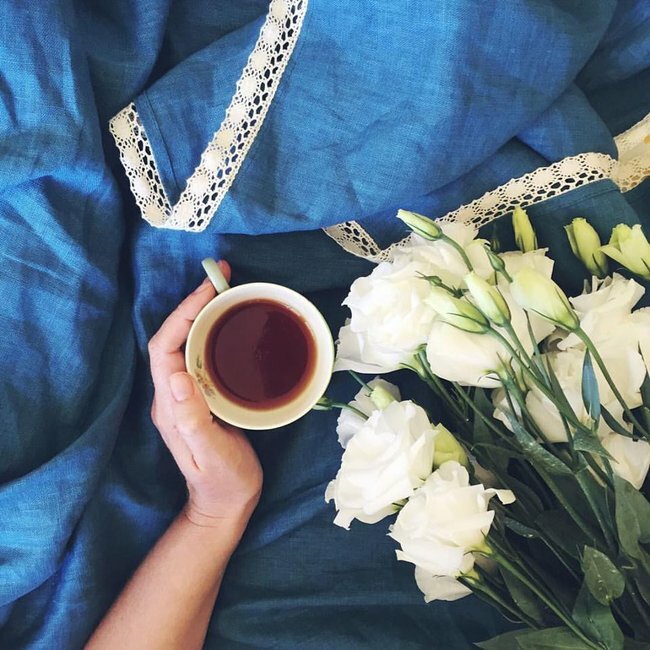 Now, with a newborn, it&apos;s finishing a good cup of tea. I thought there would be a point where I would &apos;know it all&apos; and then I would just have to do that. The reality is that you never know it all and it&apos;s a constant journey of flearning and adjusting and trying again. I wouldn&apos;t have it any other way. When I get an email from a customer telling me how much their new sheets mean to them because they&apos;re a single mum who hasn&apos;t spent anything on themselves in years and their new sheets make them feel special again. They&apos;re my proudest moments. I make sure I get a good eight hours sleep a night. However that&apos;s all gone now with a new baby, but it&apos;s funny how the body adapts though. I seem to be functioning quite well on five to six hours. Do it your own way. Don&apos;t just hustle for the sake of hustling. Do it because you believe in what you do and show off what makes you unique. Be prepared for it to be a journey. A big, fun, messy, scary and exhilarating journey! As well as being part of a mastermind with other women business owners, I have been working with a business coach to work on all the tech and numbers side of things. I can be fickle in terms of what I&apos;m working on at any given time and working with someone who helps me set my goals and plans has made a tremendous difference. I recently collaborated with stationery artist Jessie Miles from In the Daylight. Also keep an eye out for the new social enterprise, That Chocolate. Emma is doing amazing things feeding children in poverty in the Philippines with the most amazing bar of vegan chocolate.